Before we get too involved I feel the need to put out a disclaimer: I am not a talented or experienced gardener. Worse yet, I’ve never been particularly devoted. Mostly, I’ve dabbled here and there, helping people with their projects but officially, I have never had anything to call my own except an orchid plant which is now down to one bloom. I’ve been told that it looks healthy though, so that’s encouraging. Gardening, if you can call my solitary project that, has given me a sense of accomplishment which is why I’m excited to finally move onto bigger tasks and take on some real responsibility. This topic has been on my mind a lot lately for two reasons. The first is a practical one. My dad used to be the one to maintain the garden and so my parents’ backyard was filled with large bushes and shrubs that were easy enough for him to move around. Their food patch, which they both cared for but was mostly handled by my mom, was relegated to a small corner in the yard. Now we’re in the process of inverting that ratio, preparing our back garden for much more produce and fewer flowers. My aunts and uncles also live in the same area as my mom, and each of them are equally talented at gardening, so I’m trying to talk them into forming a collective. So far, we already have a variety of squash, cucumbers, raspberries, and pears. My mom is duplicating some of the stock but she’s adamant to grow her own so who am I to complain? Anyway, my goal at future family gatherings is to convince everyone else to incorporate new crops. I’ll let you know if I get anywhere (I won’t.) Anyway, the front garden however is still going to be flower central, so my mom and I will spend the next week or two prepping – removing weeds and dead plants, planting new bulbs for spring, and squirrel proofing all of it. If you’re like me and need a bit of help navigating the things you should be doing, this is a handy checklist for things you can do in the fall to prep your garden. 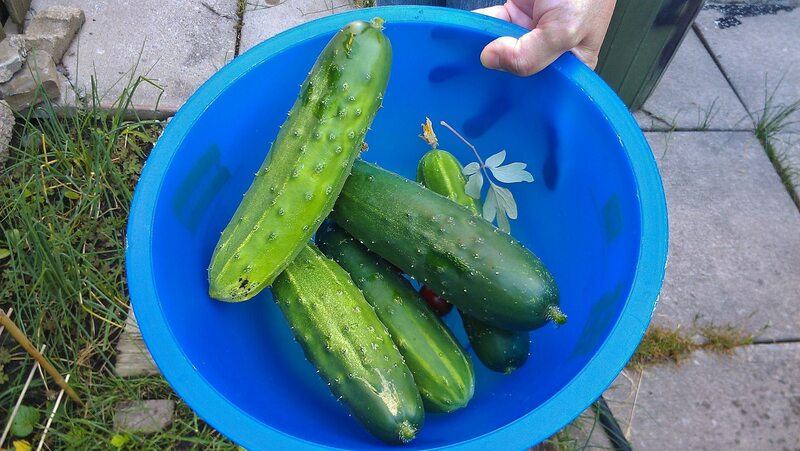 We’ve tried cucumbers a few times but after this year’s particularly horrible crop, cucumbers did not make the cut. 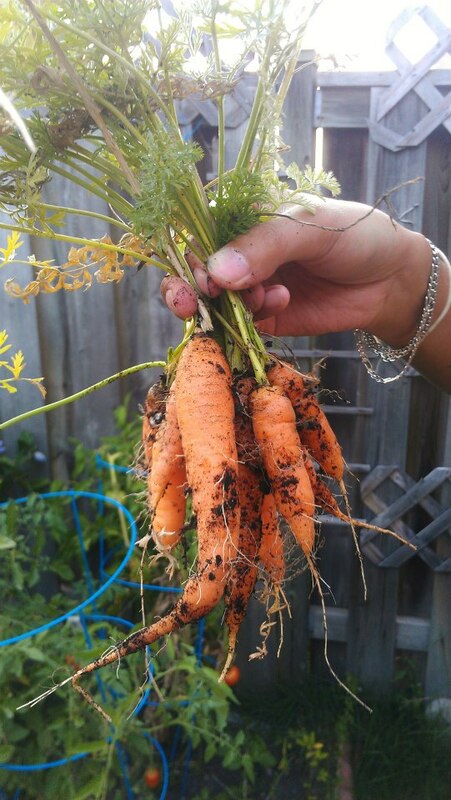 Annette tried growing carrots in planters and the results were so minimal that we decided to try something else instead. The second reason that gardening has become such a pressing issue for me is that I’ve become more vigilant about the importance of eating well and having a diet that centres around fresh, local produce with a heavy emphasis on fruits and vegetables. While, you can access healthy food through a number of resources – grocery stores, farmer’s markets, as well as organic food delivery and CSA programs – it’s nice to know that you have another option: growing your own food. Increasingly, the importance of having this knowledge, of how to grow your own food, of understanding where food comes from, has become more mainstream and the emergence of urban/community/rooftop gardening, micro-farming and other alternatives has been more common. Not only does growing your own food give you a sense of accomplishment but it helps contribute to our own food security, which is too complex of an issue for this post alone. In other words, it’s important. We’re even seeing schools adopting programs that teach children how to garden, planting that seed for knowledge early (I’m sorry, I couldn’t resist). At the moment, one of the more high profile programs is the Kitchen Garden Project based in the UK and spearheaded by none other than Jamie Oliver and his food foundation. Outside of the UK and Canada (the links I’ve provided), you can find resources and programs that support your area through a simple internet search. Just as cooking your own food gives you the opportunity to make better, healthier choices, so too does growing your own produce. Growing your own crop allows you to know and understand what is and isn’t in your food (pesticides) and provides fresh food full of vitamins and nutrients. And while I know that expansive gardens aren’t in the realm of possibility for most people, due to a myriad of factors including inexperience (me! ), there are also smaller more manageable things you can do such as herb gardens and indoor tomato plants, that will allow you to test the waters. This is rich coming from me but if I can try, so can you! Try different varieties and colours of tomatoes( I had 17 different ones this year) and various cucumbers. It is always a combination of climate and variety. That’s a great suggestion, thank you! I don’t know why it had never occurred to me to try different colours of tomatoes. Are there any varieties that you recommend over others? I may venture into cucumbers next year but our crop this summer was terrible… the texture and flavour were all off, which is why I’m so hesitant. I recommend that you try growing cherry tomatoes. Just one plant provides a constant supply of tomatoes for salad all summer and fall. I grew a sweet 100 plant and it took over the garden! Ah I just noticed you have cherry tomatoes in your photo, never mind lol.